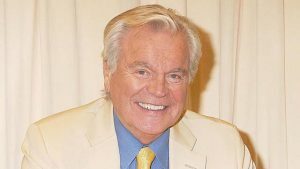 Robert Wagner is one of the most popular and successful stars in the entertainment industry, boasting three hit series and an impressive list of both feature and television films. As a young man under contract to 20th Century Fox, Wagner was cast by Darryl F. Zanuck in “With a Song in My Heart.” Although the part lasted a scant minute, his performance as a crippled soldier responding to the song of Susan Hayward brought immediate public reaction to the studio. Spencer Tracy saw him in “Beneath the Twelve Mile Reef” and requested Wagner for the role of his son in “Broken Lance.” Tracy was so impressed with Wagner, he cast him as his brother again in “The Mountain.” A small sample of his numerous film credits includes “Dragon: The Bruce Lee Story,” “The Pink Panther,” “The Curse of the Pink Panther,” “Midway,” “The Towering Inferno,” “Banning,” “Harper,” “Prince Valiant,” “The True Story of Jesse James,” and “All the Fine Young Cannibals.” He recently re-created his role of “Number Two,” the villainous henchman to Dr. Evil, the archenemy of Mike Myers’ title character in “Austin Powers: The Spy Who Shagged Me.” Antonio Banderas also directed Wagner in “Crazy in Alabama.” In 1998, the actor was in “Wild Things,” starring Matt Dillon and Kevin Bacon. In addition to all his film and television ventures, Wagner has toured the world performing A.R. Gurney’s “Love Letters”, with Stefanie Powers, who were the first to launch the tour Internationally. Wagner performs “Love Letters” at charity events with his wife, actress Jill St. John. Wagner enjoys golfing and spending time with his 3 daughters, Katie (Television Personality), Natasha (Actress) and Courtney (Artist).